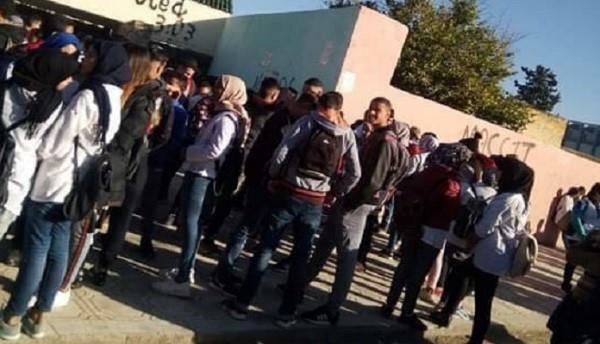 (MENAFN - Morocco World News) ">Rabat- Students in Meknes, Sale, and Ain Borja in Casablanca chose to miss class and stand outside their schools to condemn the country staying on DST (GMT+1) and to call on the Ministry of Education to keep the traditional time-table. 'We ask [the government] to remove the daylight saving, and we also ask of them to create a space for us to stay during lunch breaks because we have a hard time staying outside of school in breaktime,' a student from Sale stated in a video during the protest on Wednesday morning. Public schools usually open at 8 a.m. and close at 6 p.m. with a 2 hour-lunch break from 12 noon to 2 p.m. The ministry said in a statement that students will follow the same time-table for school for half a week starting today after the fall break. Beginning Monday, November 12, students will follow the that the government set on November 1. Schools will start at 9 a.m. and end at 5 p.m. with a two-hour lunch break between 1 and 3 p.m. from Monday to Friday. For schools in rural areas, students will start at 9 a.m. and end at 3 p.m. with a 30-minute lunch break from Monday to Friday. For schools with two teachers sharing a classroom, the ministry gave alternate time-tables. Schools will go back to the traditional time-table in the spring.On Friday, October 26, the government adopted Draft Decree 2.18.855 moving Morocco to GMT+1 year-round. The surprise announcement came two days before Morocco was set to turn its clocks back to standard time on Sunday, October 28.